NISM Currency Derivatives Certification Examination (NISM Series 1 : CD Exam) means to produce a general minimum knowledge standard for persons working in the Currency Derivatives market segment, in order to facilitate a better consideration of currency markets and exchange traded currency future products, superior quality investor service, ready process competence and risk controls. NISM Currency Derivatives Certification Examination seeks to ensure a basic understanding of the various aspects of the currency futures products, the process flow involved in trading, clearing and settlement of currency futures products and the regulatory environment under which the market operates. The measurement purpose of the examination is to determine whether or not a candidate has attained a minimum level of competency/proficiency required to participate in the currency derivatives market. 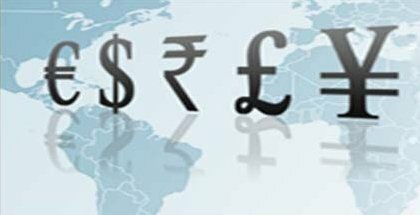 Basic knowledge of currency markets. Specific knowledge of Exchange Traded Currency Futures markets. Understand the trading, clearing and settlement mechanisms related to Currency Futures markets. Understand basic investment strategies that use currency futures products. Know the regulatory environment in which the Currency Futures markets operate in India. 1. Who can take NISM Series 1 : NISM Currency Derivatives Certification Examination? 2. For whom is this examination mandated? Please refer to NISM Notification NISM/Certification/Series-I: CD/2009/1 dated May 11, 2009 and NISM/Certification/Series-I: CD/2011/01 dated December 20, 2011 (in the 'Circulars' section). NISM has specified this examination to be the requisite standard for the approved users and sales personnel of trading members of currency derivatives segments of recognised stock exchanges. 3. How do I renew my certificate? To renew your current certificate, you need to appear for NISM CPE for Currency Derivatives or successfully pass the NISM Currency Derivatives Certification Examination before the expiry of such certificate. After the technology has been Boon for the users, students are also seen placing this modern invention in their curriculums. Moving with this technology existence in the education sector Intelivisto enters with a vision to provide extensive e-learning platform for the various certifications of financial market, such as NISM Series 1. Intelivisto has its precise focus on rising financial sector in India, the company is occupied in developing and designing courses and accomplishing workshops to care for talent among aspiring students and professionals. As a result, we have been identified as one of the most efficient online assessment portals that offers good quality and affordable study material, question bank, mock test, test papers, practice tests, sample paper and online exam preparation to its users to crack their exams eaily. Here at Intelivisto, this intends to assist participants to obtain in-depth knowledge of Forex derivatives market to follow a booming career in the domain and clear Security Market Certifications like NISM Series 1 : NISM Currency Derivatives Certification Examination (NISM Series 1 : CD Examination). In total, we at Intelivisto, offer online practice tests, questions and answers of which are prepared by our market experts. Being as a Knowledge Management Company, we dream to have visible and significant impact soon across learning life cycle, from school level to preparation for competitive exams and fine tuning professional soft skills across dedicated courses in universities or vocational institutions. Planned as per parameters set by top securities market institute NISM. Covers different topics and subject matter outlined for NISM currency derivatives certification in small details. Bears similar pattern and testing mechanism as set for NISM certification online tests. Covers up the questions from units in same ratio as set for respective NISM certifications exams. Obtain online practice tests and evaluate your performance with thorough report at a microscopic level with our evaluation tools. Get in depth knowledge of NISM currency derivatives through our trainings and workshops by market professionals and build up essential trading plans effortlessly. At Intelivisto, to crack NISM Series 1 : NISM Currency Derivatives Certification Examination (NISM-Series - I: CD Examination) with confidence, you need to get ready. We would be more than happy to assist you in your endeavor to not only get the certification but also to furnish you with the necessary skills-set. If you wish to obtain mock test, you may act so after registering with us; which is completely free of charge and afterwards you could access our diverse product categories and receive particular products mock test. Overall the course content was very helpful in gaining the new insights of the derivative market. Got a good knowledge about the Equity and Derivatives. Some concepts like arbitrageur are informative and interesting as well.